Buying a high-quality dive watch doesn’t have to break the bank. There are many brands producing high-quality and highly competent tool divers well under the $1,000 mark. For those collector’s moving on from the sub $500 range, this is typically the next step. So what do you get when you move up to the $500 to $1,000 range? 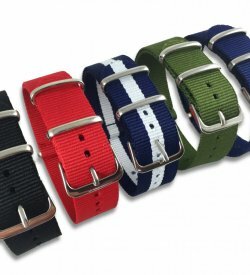 For one, you’re going to gain access to a lot more swiss-made automatic movements. Although you won’t find anything in-house here (outside of Seiko), almost all of these watches are powered by high-quality ETA or Sellita movements. Additionally, you’re going to find a generally higher quality level of materials (like ceramic and sapphire), and more attention paid to details like movement finishing and case polishing. Although you won’t find anything from brands like Rolex or Omega in this price-tier (unless you’re going vintage), there are many gems to be found and some pieces that are considered modern classics. If you’re looking for something just a little bit cheaper, check out my article Top 5: Best Tool Watches Under $500 for some great suggestions. There aren’t many Swiss brands with over 100 years of watch-making experience that still release watches for under $1,000, but Oris happens to be one of them. 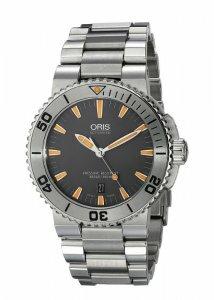 Considered an entry-level luxury brand, Oris is positioned comfortably above brands like Tissot, Victorinox, and Hamilton and just under more popular luxury brands like Omega and Breitling. It’s also notable that Oris’s entire catalog is mechanical, with not a single quartz watch in it’s stable. The Aquis is a modern dive watch with an excellent build-quality, a proper tool with just enough bling for more formal occasions. 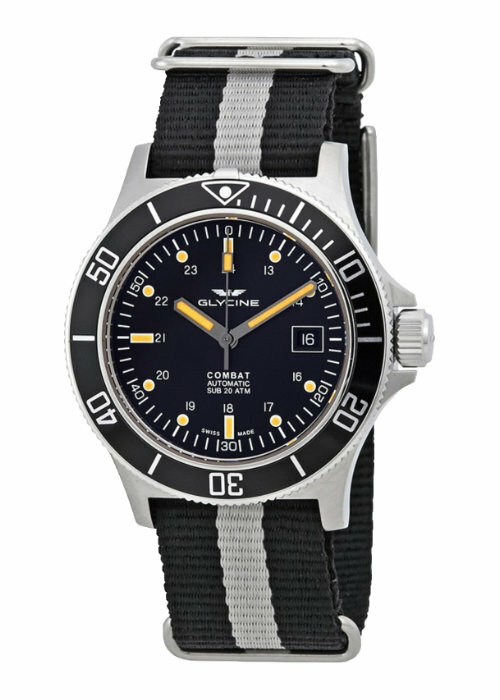 With 300M water resistance, a ceramic bezel, and double-domed ceramic crystal, you’re getting a dive watch that is comparable to an Omega Seamaster for less than half the cost. Older versions of the Aquis are available in 40mm and 43mm sizes, but the new generation appears to have excluded the smaller size. That’s a shame, because 43mm is a tad too big for most people. There are a few knocks here: The Aquis is powered by a Sellita SW 200-1 movement. 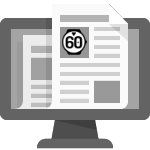 Although the SW-200 is mechanically similar and functionally equivalent to the ETA 2824-2, some feel the price may not be justified for a “generic” brand movement. With that said, I feel that the quality difference is negligible. 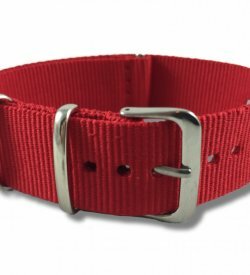 Another downside is the proprietary integrated bracelet, although nice to enough to wear you won’t be able to change it out for your own straps later down the road. 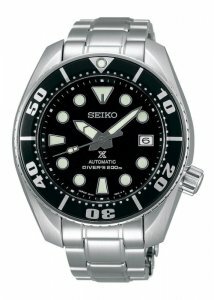 The Japanese value-king strikes again with the Seiko “Tuna”, a legendary quartz dive-watch with a cult-like following amongst enthusiasts. 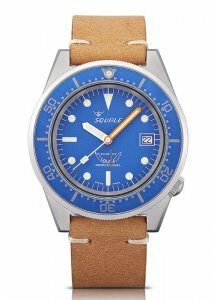 Although I’ve mentioned this watch before in my Best Japanese Dive Watch article, I can’t help keeping it out of this list. 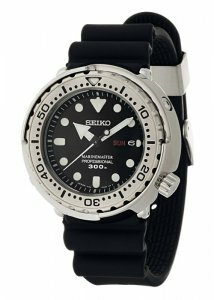 This shrouded diver has been in production since 1975, when Seiko first released the 6159-7010 (known as the “Grandfather Tuna”). With it’s absolutely massive 48mm “tuna-can” case, It’s size may put some people off. But keep in mind that this watch is nearly lug-less, making it fit well on almost any wrist size. The Tuna is powered by Seiko’s 7C46 quartz movement, accurate to +/- 15 seconds per month. While fairly expensive for a quartz watch, it’s reliability makes it an excellent candidate for actual underwater use, and it’s shrouded case makes damaging the internals nearly impossible. It’s also highly collectible with a strong dedicated circle of enthusiasts throughout the world. 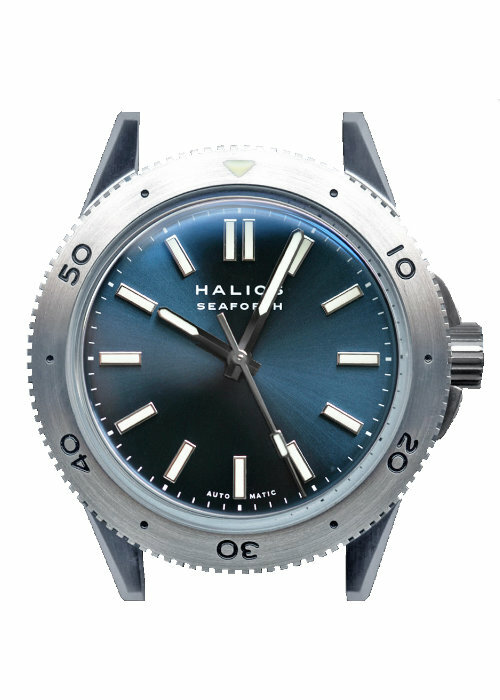 For the microbrand dive watch enthusiast, it’s hard to pass up on the Halios Seaforth. 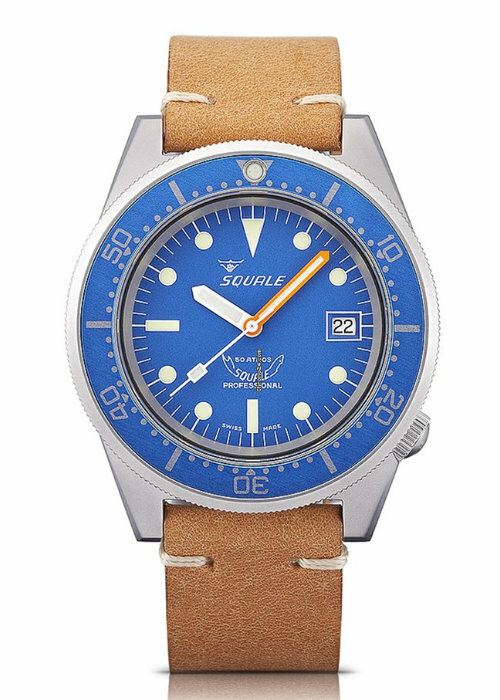 Although Halios and Jason Lim have produced a slew of desirable dive watches (check out the Tropik, Delfin, and Laguna), the Seaforth seems to hit the sweet spot with it’s smaller size (41mm) and vintage inspired appeal. Some may consider it an evolution (or de-evolution?) of the Tropik, which had more of a modern tool-watch vibe. The Seaforth takes it a bit further into vintage territory with it’s boxed sapphire crystal and vintage-styled leather straps. Also, there is no date here, keeping the aesthetics clean and simple. The Seaforth comes in four dial variations; gloss black with silver or gilt accents, sunburst blue and pastel blue. Mix and match with a black sapphire or steel bezel and find a combination that suits you best. The Seaforth is powered by the Miyota 90S5 automatic movement. This is the same movement as the Miyota 9015 sans date complication. 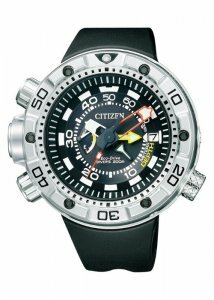 Since you’re getting a Japanese movement, it’s fair to compare it other dive watch offerings from Seiko or Citizen. 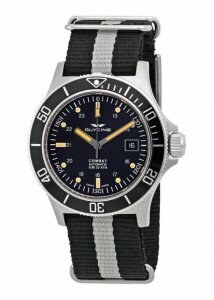 Priced at $650 – $675 dollars, the value is definely there for a Japanese powered dive-watch. 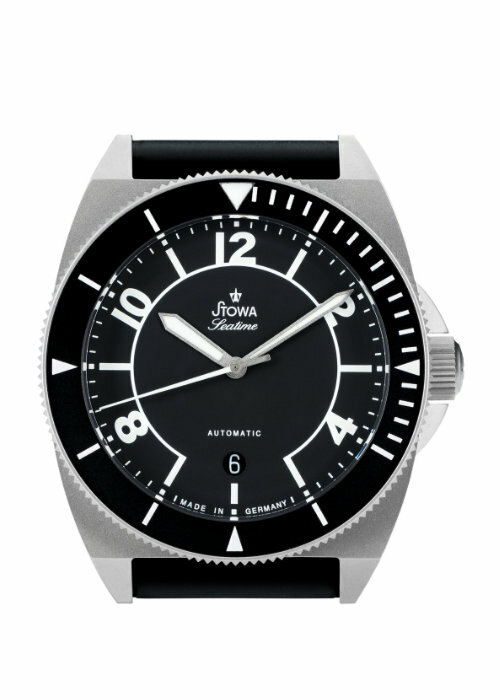 Stage I of the Seaforth is currently sold out, although models are beginning to pop-up on WatchPatrol. 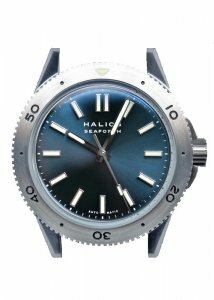 Halios will also be releasing another batch (with new dial colors) in the Fall of 2017. I don’t see Alpina getting enough love in watch enthusiast circles. Similar to Oris in many respects, this Swiss-made brand delivers many quality time-pieces for under $1000. The Seastrong in particular is a design I find very appealing. With it’s minimalist bezel, cusion-style case, and raised markers, it’s got a classic design without being too derivative of other brands. 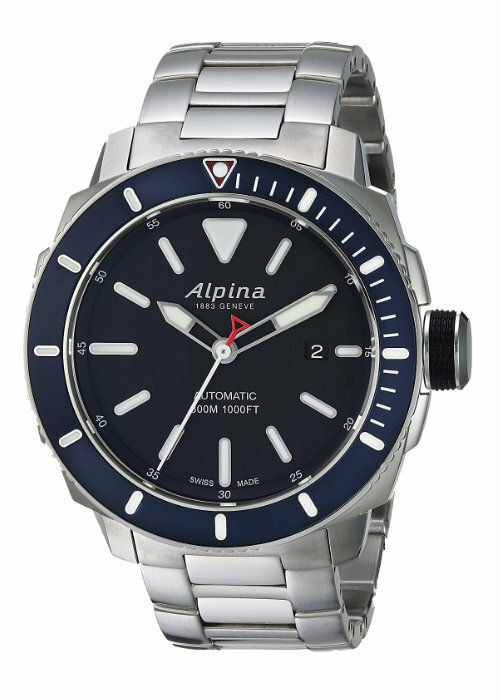 Alpina produces several in-house movements for it’s upmarket models, but this isn’t one of them. Instead, you’ve got a modified and beautifully finished Sellita SW-200. Through the caseback you can observe Alpina’s custom black rotor, as well as a high level of finishing on the movement otherwise reserved for much more expensive watches. 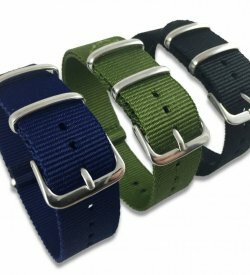 Many configurations of this watch actually exceed the $1,000 threshold, but if you’re willing to settle for the rubber strap instead of the steel bracelet you should be able to get it for a bargain. Although many lament the acquisition of Glycine by Invicta last year, there is no denying the brand offers some high quality Swiss watches under the $1,000 mark. Similar to Hamilton in it’s heritage, Glycine is known for it’s military inspired tool-watches like the insanely cool Airman GMT models from the 1960’s and the Combat field watches from the Vietnam war era. The Combat Sub is Glycine’s take on the miltary dive watch, a 200m peice powered by the ETA 2824 (although Glycine is now renaming their movements to sound more in-house…). It comes in many different configurations and colors, including a lollipop-style mercedes handset and a more traditional baton style handset. It’s a great size at 42mm and imminently wearable thanks to it’s incredibly thin profile (11mm!). This is definitely the cheapest watch on this list, and can be had for less than $500 in some cases. They come up quite often on Mass Drop, and many sellers on Ebay will part with them for far less than retail. 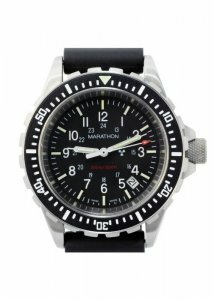 As mentioned before, there are so many great watches in this price range. 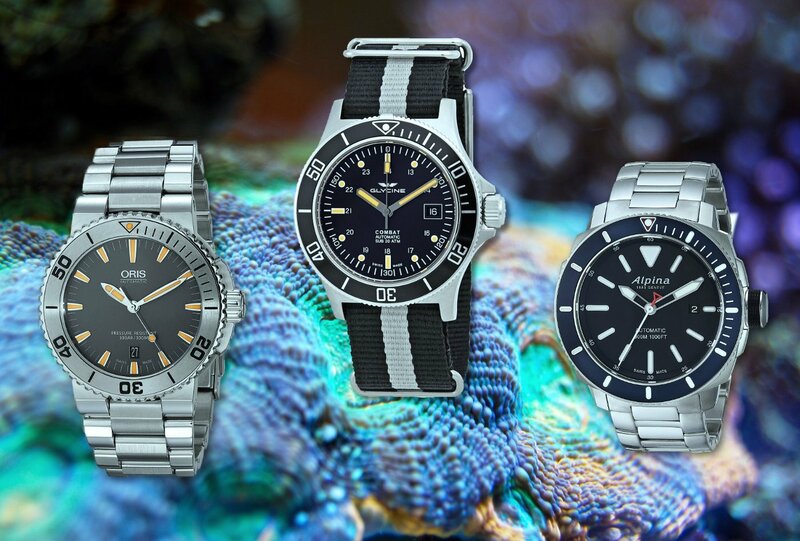 Take a look at the table below for a few more great dive watches under $1,000 that regularly end up on everybody’s favorites list. Agree, disagree? What are your favorite tool watches under $1,000? Leave a comment below and let me know. Mike, how could you completely forget the Steinhart Ocean Titanium 500 Premium? IMHO, superior to “some” of your choices. Also, recently made a purchase from that dreaded manufacturer, Invicta, 9937OB w/Sellita 200 and most important of all, “Swiss Made” for under $300. Believe me it is a steal (well made & handsome) if you are not worried by succumbing to the wrath of the haters! After all, “Swiss Made” means final assembly (at the very least) & stringent quality standards all in the hands of the Swiss. But I digress, how about some Steinhart love? 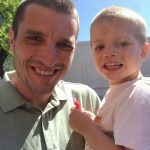 Some great mentions and good info overall Mike, thanks for your work! I have to agree with John, Steinhart was exactly the brand that came to mind after I finished reading the article – the Titanium 500 Premium watches are at the higher end of the “Sub $1000”, I would say just about any of their dive watches can qualify here, and at US$400 with all that they deliver, it’s hard not consider them a 10/10 for value. Cheers! Hey John — I’m actually a big Steinhart fan. I’ve got an OVM in my watch box right now (check out my review). I had the Ocean One on my original list but crossed it off at the last minute. I did this for two reasons… for one, I was actually trying to keep this list to $500 – $1000 watches (since I do under $500 lists as well). Most of those great Steinhart watches are under $500. 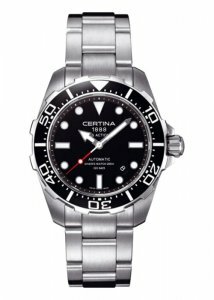 Also, while Steinhart’s are extremely well built for the price, I feel that too many of their dive watch models are Rolex Sub derivatives. I will admit this has changed a bit in the last few years within their other model lines (and movements). 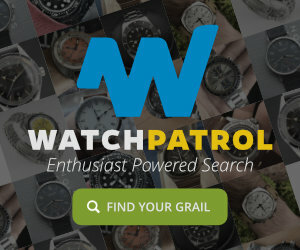 All in all, I agree with you: They are fantastic watches for the price! Luminox is a copy of the Type 6 watch from the 1990s. 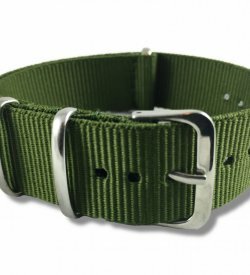 It is not an actual military issue watch. 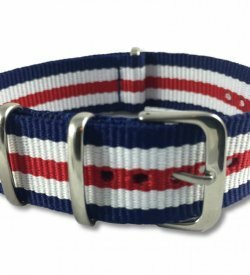 The Marathon TSAR is an actual military issue watch (NASA and EOD personnel get them). 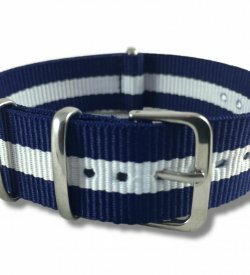 It is well made and has a distinctive look. If you need a watch with continuous self-illumination and meets ISO 6425, it is really the only game in town. My second comment in this string! I do like your choice of the Alpina Seastrong in this list because as you said, it is easily the equal of the Oris which is pretty good company. Furthermore, the viewback case offers a nice look at that Sellita SW-200 movement which (IMHO) is even better than the ETA 2824 and beautifully modified by Alpina. The Sellita is more than a generic since Sellita served as a supplier to ETA and their design incorporates a superior hairspring and an extra jewel. Furthermore, it has been my experience that the Sellita is more accurate than its ETA cousin. I am surprised that you did not include the JeanRichard Aquascope in your list since they have been falling in the under $1000 list lately. It is a beautifully detailed watch w/a Sellita movement. I have heard where they use a Sellita SW-300 movement but I must say the one I saw looked more like a SW-200. Can you help me with that? Either way, JeanRichard is a prime example of a Heritage/Swiss watch (it dates back to 1681) and the build is beautiful and solid! If there is a downside to these two watches (for some), it is that they are 44mm but a true diver should likely be between 43-45mm. Hey John! I honestly don’t have a ton of experience with the Sellita movements, but I’m not surprised they perform equal (if not better) than the ETAs. As far the JeanRichard, it’s a brand I’m not familiar with, but you’ve inspired me to do a bit of research… I generally can’t wear watches over 42mm (unless they have really short lugs, like the Tuna). Cursed small wrists.